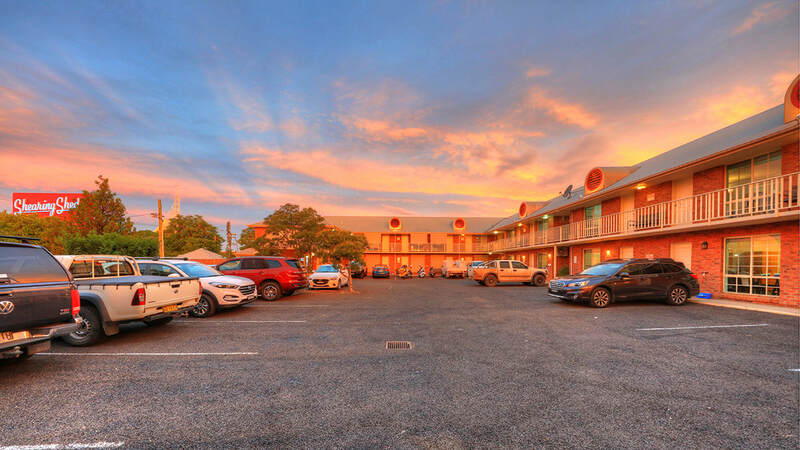 ​The Shearing Shed Motor Inn is situated in the heart of Dubbo. A 50 metre walk to Macquarie St, Dubbo’s main shopping and café area and home of the Old Dubbo Gaol, 300 metres to the Dubbo RSL and across the road from the fast food strip including McDonalds, Pizza Hut, Red Rooster, Subway and more, you can park your car and leave it there. 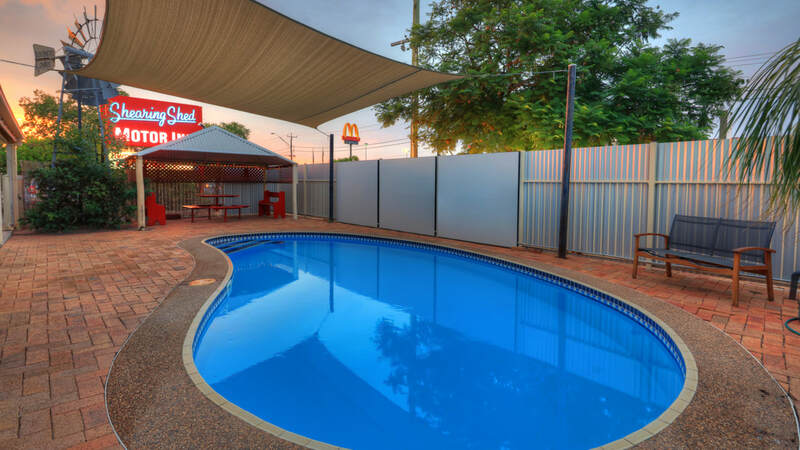 ​Our pool has a private fence providing a relaxing space to enjoy a cool down. With pool towels provided and an assortment of pool toys, it’s a great space to spend your afternoons. A large shade sail provides shelter for the summer sun. ​Whether you are planning a romantic getaway or feel like extra space and a little luxury, our Deluxe King Suite is for you. With a king size pillow top bed, enormous free stading bath tub, complete with book rack and wine glass holder, bathrobes, and much more. Treat yourself to the ultimate luxury! ​Whether you are planning a romantic getaway or a family break, you can treat yourself to the added luxury of an in-room spa. 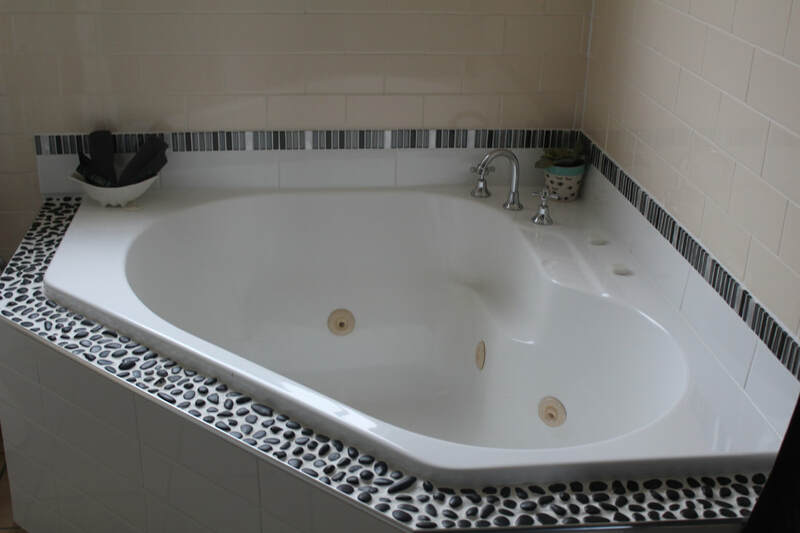 Our Family Spa suites provide the ultimate luxury with a pillow top queen bed, corner spa bath as well as seperate shower, flat screen TV with in-built DVD player and much more. So treat yourself to something special. 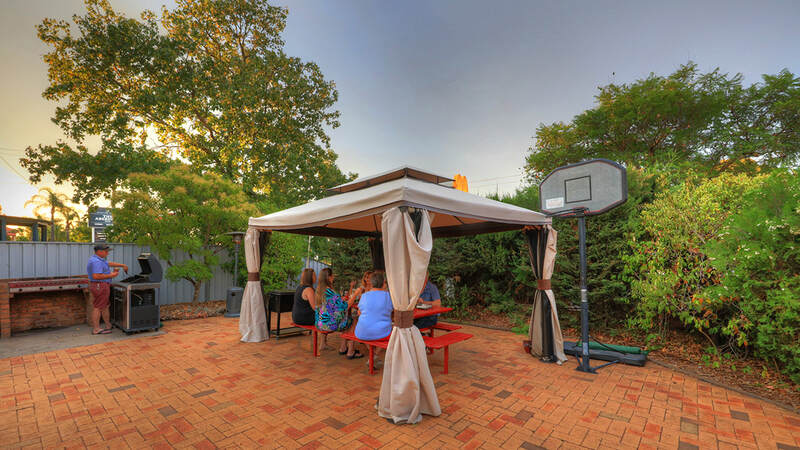 ​After exploring for the day, relax in our large BBQ area with shade house. We have a huge BBQ with a side wok burner to help all your cooking needs. Just ask at reception for our BBQ basket. We are happy to provide utensils. ​After a long day on the road or sightseeing, relax with a wine, beer or soft drink all available to purchase from reception. There is a selection of snacks available too. Either may be available on request. Whilst our departures and incoming bookings dictate this to a large extent, we will try to accommodate your request where possible, so please chat with us to check availability. Surcharges may apply. 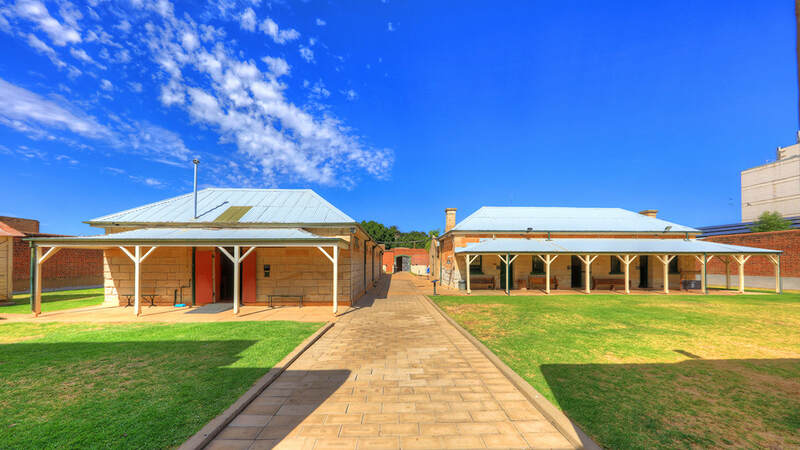 ​We have 23 rooms and 23 off street car parks, so there is one off street car park per room. If you have more than one vehicle per room, please check with reception. If we are not fully booked, we are happy for extra cars to be parked off street by arrangement. Tourist Information and booking service. ​There are a large numbers of brochures available in reception to help planning your activities in Dubbo. Our staff are very familiar with the area and love sharing ideas and experiences to help you ‘see and do it all!’ We are happy to make bookings for any attractions on your behalf. ​Tarronga Western Plains Zoo is a 300 hectare open range sanctuary undertaking a vital role in national and international programs for rare and endangered species. Go on a zoofari and have a wild time you and the family will never forget.